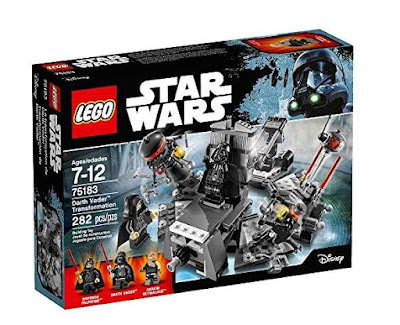 If you have a Star Wars and LEGO fan in the family you'll need to cash in on this LEGO Star Wars Darth Vader Transformation Building Kit on sale for $13.99 (Retail $24.99). Creative play goes into overdrive with LEGO Star Wars Darth Vader Transformation. This detailed set features a table that lowers and flips to reveal Darth Vader, and puts your child in the middle of the action.